A man of height and clearly good breeding, he is a knight and therefore his frame carries certain amount of strength. He's broad of shoulder, toned and tall with a confident set to his bearded jaw. Well porportioned his grey blue eyes show his inner will.His hair is a burnished blonde, cut short but beginning to curl as it lengthens. He is a man of his house, bedecked in yellows, golds and blacks. He leans towards the more regal rich blacks. A fitted tunic houses his torso with long sleeves that are able to detach. A set of black breeches is paired with tall well worn boots. Simple adornements when he is not found in his armor. Alan is a knight of House Beesbury. Alan married the sister of Lord Ormund Hightower. A fortuitous match. Never has Alan seen or heard of a man so in tuned with matters of economy. In his lifetime Lyman has quadrupled the coffers of House Beesbury. Alan hopes to succeed Lyman as Master of Coin so he barely leaves his cousin's side, absorbing as much as he can from Lyman. Master of Coin: Quite the man with the money. 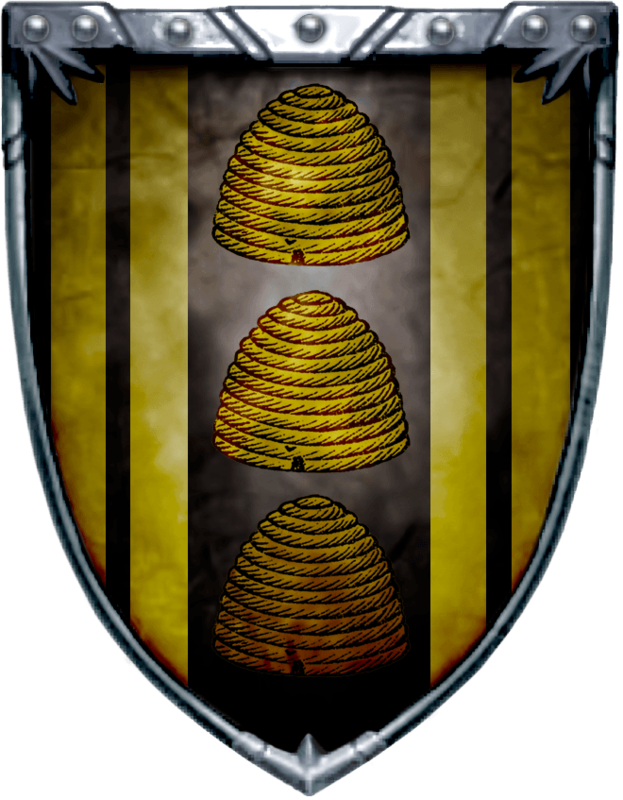 Beesbury: He is of the House sworn to Hightower but his allegiances vary. Calculating: He is not quick to act and rather takes his time to ascertain the best choice.